In the Maritimes, politics is a disease, in Québec a religion, in Ontario a business, on the Prairies a protest and in British Columbia entertainment. The province of BC is the Canadian equivalent of California perched on the west coast, sometimes called Lotus land because of the mild climate and laid back lifestyles. This essay will describe a little recent political provincial history. at full union rates. BC TV, night after night, for months played the footage of the police entering the premier’s modest house by the back door. The repetition paid off and the voters got the unconscious impression he was a convicted criminal in the same league as low-lifes appearing on Cops. He was disgraced and his party was decimated down to two seats. 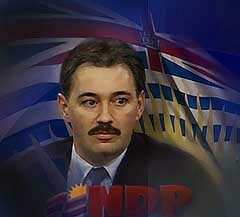 The BC supreme court later vindicated him, but the damage was already done. 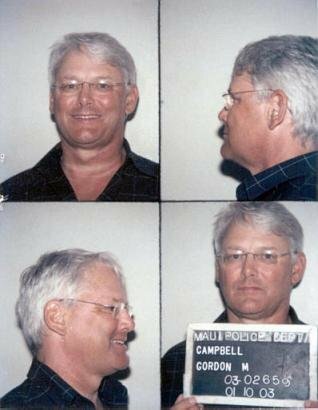 The BC Liberal party in opposition made great hay of the scandal, (which seems laughable compared with the scale of American Enron and funeralgate scandals.) The Liberals portrayed themselves as pro-business centrists and won an astounding majority — all seats but two. The first thing they did once in office was offer a massive tax cut to the wealthy. They threw thousands of people off disability pensions. They created forms so complex for the mentally disabled people to fill, many committed suicide in despair. They threw people off welfare into the streets. The number of homeless people soared. They fired half the Ministry of the environment, our provincial analog of the environmental protection agency. The economy went from boom to bust. BC was one of the richest provinces and went to the bottom. 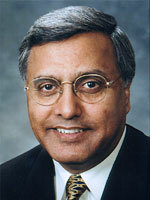 He doubled tuition fees to post secondary education and cut funding. They sold off the crown assets including a railway, the electric utility and the ferry system to private interests. One of the benefactors of this was Accenture, née Arthur Anderson, a company embroiled in the Enron scandal. They sold off a pair of experimental fast ferries for far below market value mainly to discredit the previous government that had promoted them. They tore up collective bargaining agreements, fired huge numbers of government workers and gave them pay cuts. They abolished the ombudsman and the human rights commission. They made a successful bid for the Olympics in 2010 and committed the province to some massive expenditures building new roads for access to the ski areas and new Olympic facilities. They gave government lottery proceeds to a privately owned, profitable hockey team. The police made a routine practice of confiscating the belongings of any homeless person without court order of any kind. BC has had some tough economic problems mainly because of Americans illegally slapping tariff on BC softwood imports. However, Mr. Campbell seems to have taken an almost sadistic glee in slashing budgets for services for those already suffering most while handing out lollipops to his well-to-do supporters. This earned him the nickname Slash Gordon. Strangely, the Liberals are still fairly high in the polls, mainly because there is no organised opposition. There supporters forgive them the cuts imagining they had no other choices: e.g. partly claw back the stupendous tax cut to the wealthy, target tax cuts in a way to stimulate specific industries and regions rather than just blindly blanket, stop selling the crown forests at such low fees which is partly what triggered the dispute with the Americans, get involved in the softwood lumber dispute, The opposition includes the remnants of the NDP, the Green Party and the Marijuana party, which tend to split the left and youth vote. Marijuana is big business in BC. Marijuana legalisation is gradually happening in Canada. How important is marijuana export to the British Columbia economy? The marijuana sector’s workers make up 5% of the provincial workforce and outnumber the province’s massive logging, mining and oil and gas industries combined. In 2003, the only two opposition MLA (Member of the Legislative Assembly) s, Joy McPhail and Jenny Kwan seemed burned out and said they would not run. was disgraced in a scandal when one of his ministers, Dave Stupich, funneled lottery funds to his private account. Harcourt then had a near fatal fall from his Pender Island cottage deck onto some rocks along the shoreline. Doctors once said he would likely be confined to a wheelchair after four months in hospital recuperating. He was out of the running. is treated much the way Americans treat Clinton, as if his scandal were the most important thing that happened since Jesus healed the lepers. He was out of the running. took over after Clark resigned. He was a mild mannered apologetic man. He lost the election so badly, that even he personally lost his seat and the opposition was reduced to two seats. After this disgrace, I can’t see him seeking another another chance. has repeatedly said he was not running. He hosted a popular TV show (my personal favourite TV show) called Viland Voices. I emailed him nearly every day about some issue and about half the time he read my email on the air. We are on a first name basis when I showed up for the live Talk TV show tapings. He and I agree on almost every issue right down the line. I have repeatedly pushed him to run, as have others, but he has refused. He had a great pulpit at The New VI TV station, probably better than any politician, to sell left-of-center ideas. He is a wonderful human being. He has strong opinions, but when he so often says I want to know what you think. you can tell he deeply means it. is running for NDP leader. He was a left wing firebrand who is obviously itching to put the Liberal feet to the fire. However, his accent is so thick you miss a quarter of what he says. reminds me a bit of Sheila Copps who ran against Paul Martin for leader of the federal Liberal party. She talks a bit too loud and a bit too fast. She was considered the front runner because of endorsement from one of the big government employee unions. Everything she says sounds like a rehearsed speech, which detracts from her humanity. She clearly cares passionately about the issues. She is no phony. She is a stump-style politician who will do best addressing large crowds. She won the leadership race. is a crown prosecutor. He exudes authority. He reminds me a bit of actor Kevin McCarthy. He hammers his message of stability and sticking to the middle of the road. I think strategically he would be the NDP ’s best bet. The NDP are often accused of being sentimental and impractical. He exudes the opposite, but as a result has less appeal for the typical leftish NDP voter. I relish seeing him competently prosecute the Liberals for their multitude of crimes and incompetencies. looks the part of a competent executive. However, his speaking style is too bland for a party leader. He hunches his shoulders which makes him appear weak. He is quite articulate, but seems to be talking to himself or the air, rather than to his audience. He keeps looking down. is clearly a working class guy. He dresses like a blue collar union worker whose interests he represents. He has a slightly cynical depressed aura about him. Politicians need to exude optimism. His appeal is his direct speech. He does not sound in the least like a weaselly politician. However, I can’t see the public trusting him to run the entire province. He gives no indication he would be even interested in the administrative details. has dropped out of the race. He was perhaps a bit too young to be taken seriously as premier. I found the most personally appealing of the candidates. He had a warm voice and a subtle sense of humour and joy. He talked a vision of BC with new green industries with great passion and did it in a way that it did not sound like an empty pipe dream. He is perhaps a little too self-deprecating for a politician and might be perceived by voters as not strong enough to lead a province. He has a beard which will frighten off some. He is not a stump politician, but should do very well in the cool medium of TV. He comes across as extremely likeable. I think he is probably the most intelligent of the candidates. That perception could be a liability. He is also a lawyer, which gives him competence in debate and drafting legislation, but dampens his general appeal. He has the endorsement of Dave Barrett, a popular ex-premier. Ironically what did him in was some incident where he lost his temper. All the candidates came across as caring and polite with each other. That bodes well that they could eventually work as a team. 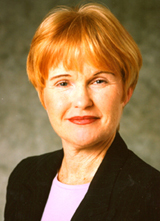 The delegates chose Carole James as the new provincial NDP leader at the 2003-11-21 to 24 convention. I encountered all the declared candidates when Moe Sihota invited them to a live TV show with a studio audience. They are all easily approachable people. I did not sense that nauseating phoniness you usually get from politicians. It felt as if I were talking to personal friends. 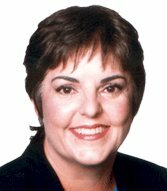 Carol James won the NDP leadership race. 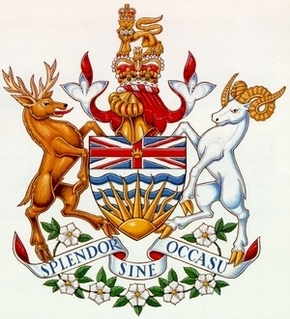 The Liberals drastically dropped in support over scandals involving the RCMP (Royal Canadian Mounted Police) raiding the legislature in allegations of organised crime, drugs and leaking confidential information in the BC Rail sale, not to mention their many fights with union workers and health care workers. The Liberals made great hay of a last-minute turn-around in a disasastrous economy. In the election on 2005-05-18, THe NDP was unable to unseat the Liberals but it was able to regain 30 seats.